The Teaching Teachers for the Future (TTF) project is aimed at enabling all pre-service teachers at early, middle and senior levels to become proficient in the use of ICT in education. Three professional learning packages for teaching English demonstrating the powerful intersection between the Australian Curriculum for English, the pedagogy of teaching English and ICT in English. Three professional learning packages for teaching history demonstrating the powerful intersection between the Australian Curriculum for history, the pedagogy of teaching history and ICT in history. Three professional learning packages for teaching maths demonstrating the powerful intersection between the Australian Curriculum for Maths, the pedagogy of teaching maths and ICT in maths. 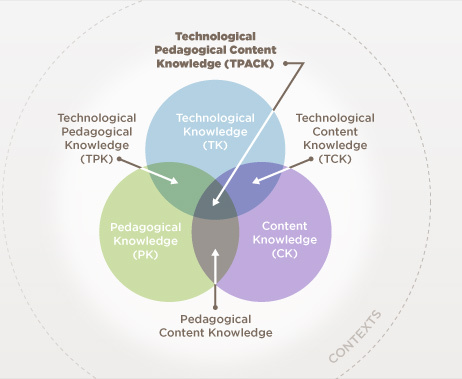 Three professional learning packages for teaching science demonstrating the powerful intersection between the Australian Curriculum for science, the pedagogy of teaching science and ICT in science.